A wave of renewed civic engagement and democratic participation swept across the country during the 2018 midterm election, and Texas was no exception. The two years leading up to this election were a frenzy of activism, media coverage, political advertising, and social media activity. Voter registration surged to 79.36% of the citizen voting age population, the highest percentage in Texas since the 2004 presidential election. Of those registered in Texas, 53% turned out to vote (up 20% from the 2014 midterms and the highest in a Texas midterm election since 1970). Texas had the sixth largest turnout increase in the nation, outpacing the nationwide average turnout increase of 13 percentage points. Although Texas’ overall turnout rate was still the eleventh lowest in the nation, these numbers mark a significant improvement from the recent past that we can all celebrate, regardless of party membership or ideology. Texans are energized and eager to participate in our democracy. Nevertheless, the mechanisms of our democracy failed us. The 2018 Texas midterm election was characterized by re-energized civic engagement without the infrastructure to meet it. In fact, our data indicates that in 2018, election administration failures reported to our Coalition affected, at a minimum, 277,628 voters —a number higher than the margin of victory in Texas’ closely watched Senate race. 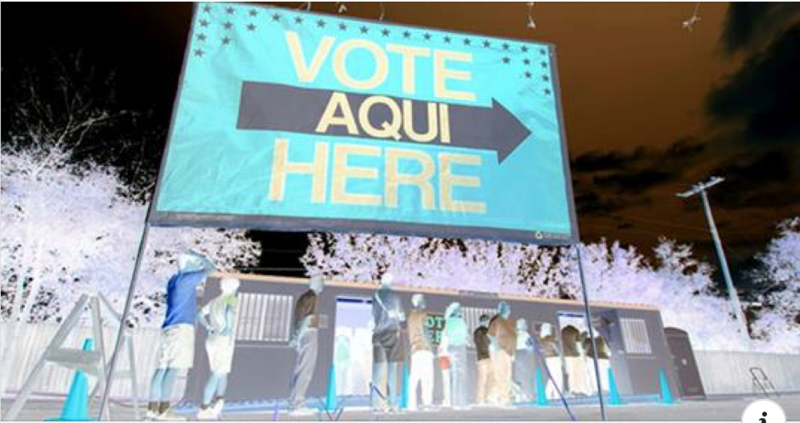 The long-standing failures in Texas election administration infrastructure will grow more dire unless state and local governments address the problems as soon as possible. Texas’ election systems cannot handle even the previous baseline of voter turnout, much less the substantial increase we saw in 2018 and will likely see in 2020. Even with the advance notice provided by increased voter registration and higher voter turnout elsewhere in the country, Texas failed to establish the infrastructure necessary to conduct an efficient, fair, and pro-voter election in which voting is easy and reliable for every citizen who wants to cast a ballot. These — and many other issues — plagued Texans over the course of the 2018 midterm election. Voters encountered hurdles to democracy at every step of the voting process, from registration to submitting the ballot. There is an urgent need for Texas to reform its antiquated election infrastructure immediately. Texas is not ready for its next election. Without reform, our state faces the risk of a catastrophic breakdown in future elections, perhaps as soon as 2020.